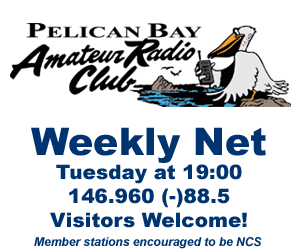 The Pelican Bay Amateur Radio Club was founded in 1980 by a group of Brookings-Harbor amateur radio operators who wished to share their common interest in “HAM” radio. 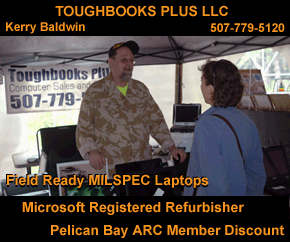 Amateur radio is a hobby of self education and emergency preparedness. It is to our country’s benefit to maintain a reserve of trained radio operators, technicians and electronics experts. Hams stand ready at a moment’s notice to assist whenever normal communications channels are overloaded, damaged or disrupted. Amateur radio is officially recognized as our nation’s backup network during times of emergency, disaster or international distress. 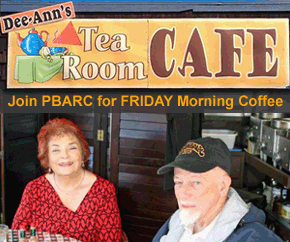 Many PBARC members meet for coffee on Fridays from 8:30 to 9:30 am at The Tea Room in Brookings. 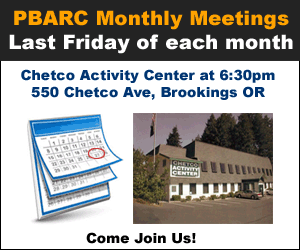 The club also holds regular meetings the last Friday of every month, 6:30 pm at the Chetco Activity Center. The annual meeting, election of officers and picnic is held every September. Many club members have assisted with communications for Walkathons, Azalea Festival Parade, Jefferson State Coastal Bike Tour, statewide bike-a-thons and other community projects. The two PBARC radio repeaters are monitored for use in emergencies and to assist visitors to the area.